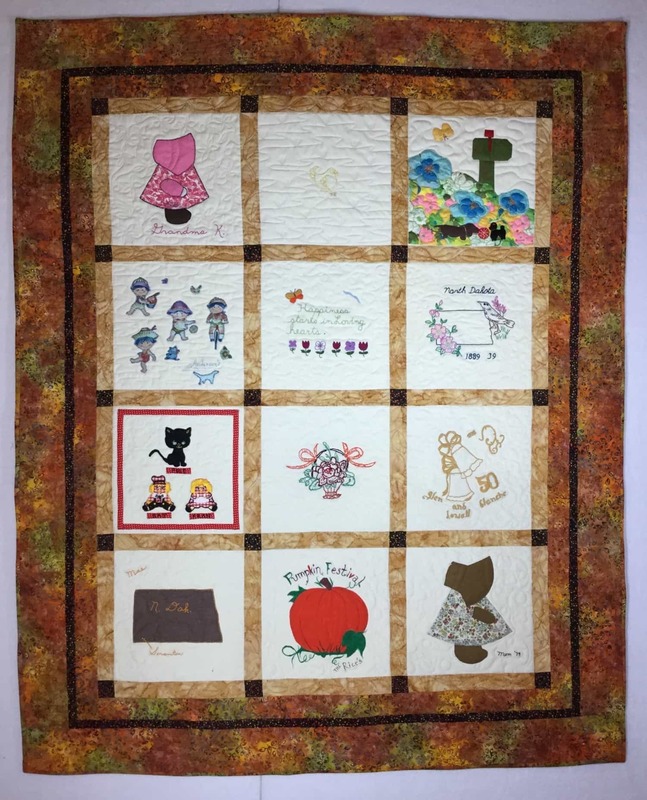 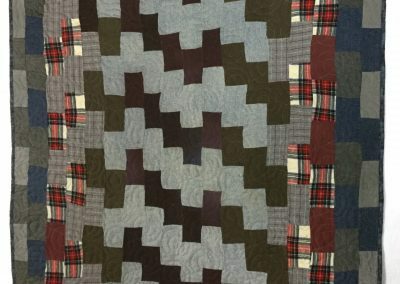 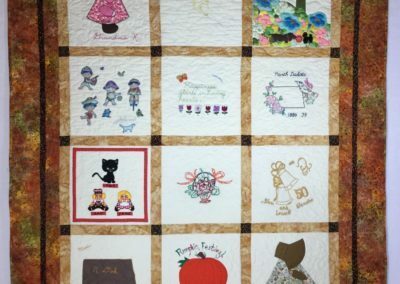 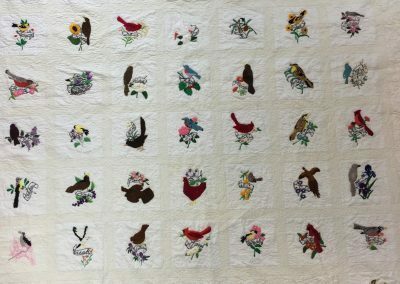 One of the great traditions of quilting are friendship blocks. 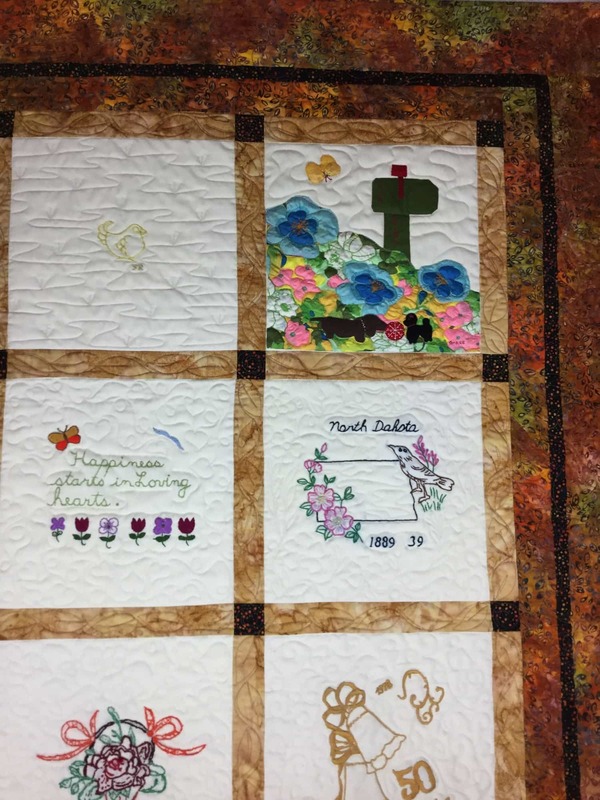 The idea is that when someone in your community moves away friends and family make one block each to send off with their friend who is moving away, as a reminder of the people left behind. 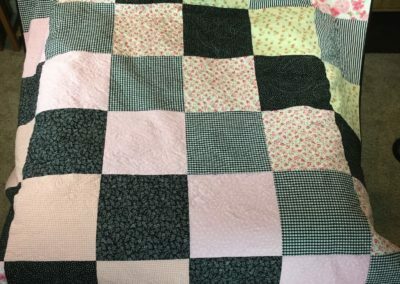 This quilt was made with friendship blocks made and given to Peggi in the 70’s it was left unfinished until now!